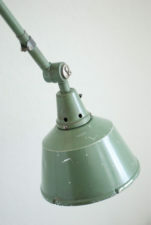 of all elements, the lamp was clear coated and rebuilt again. 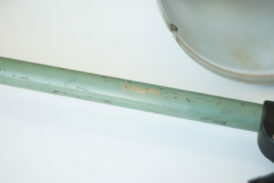 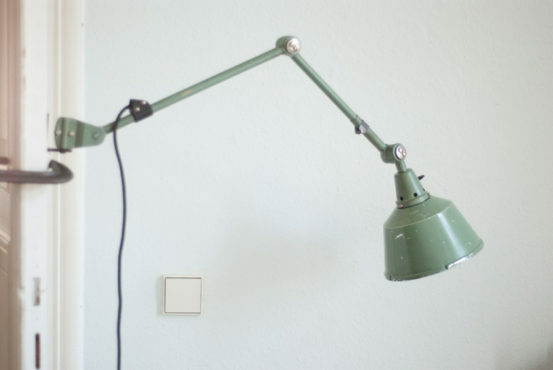 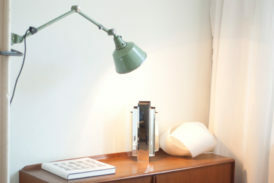 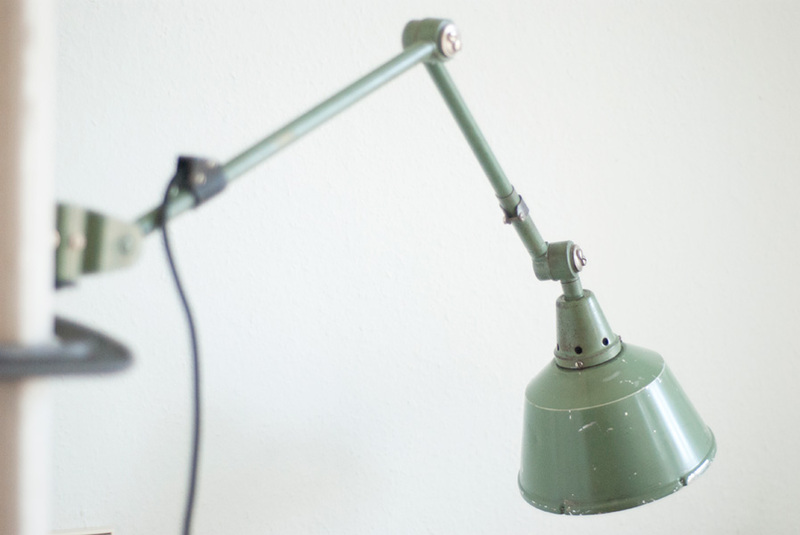 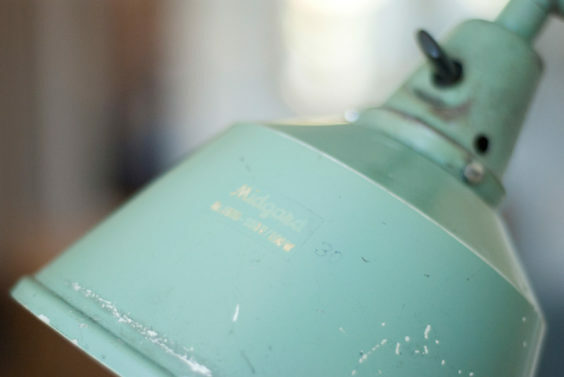 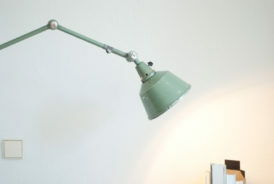 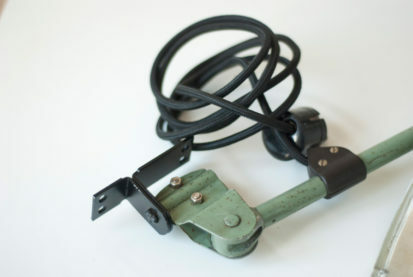 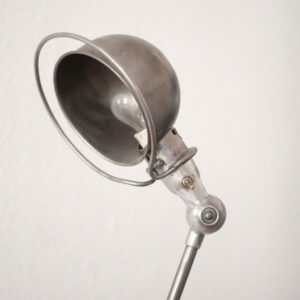 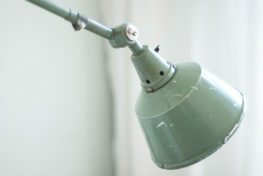 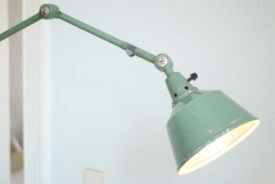 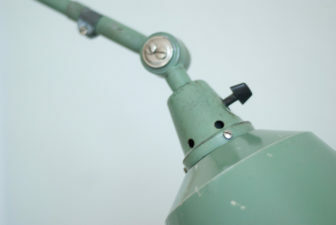 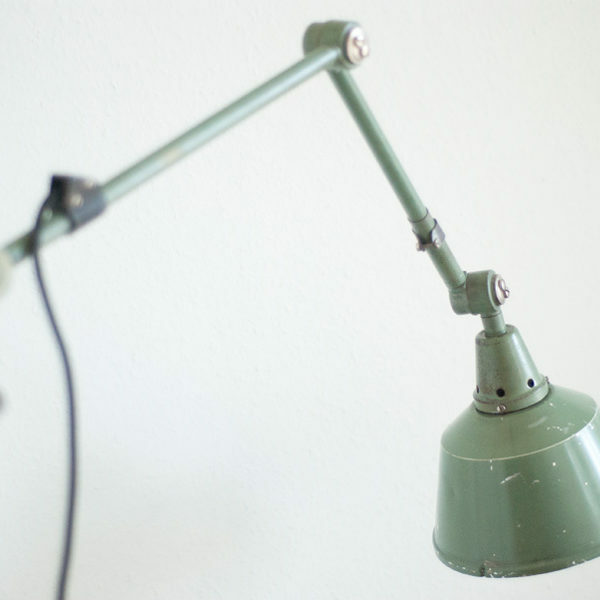 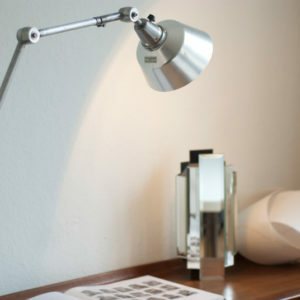 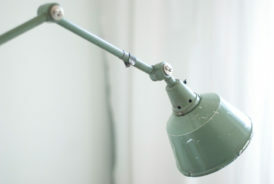 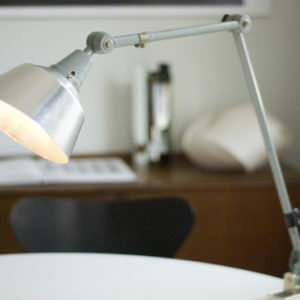 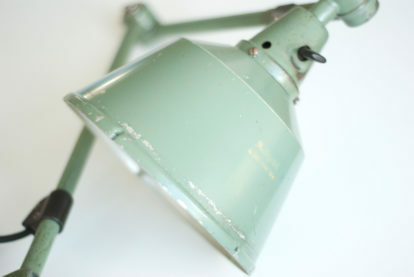 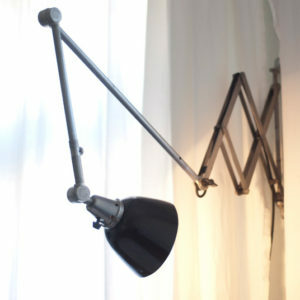 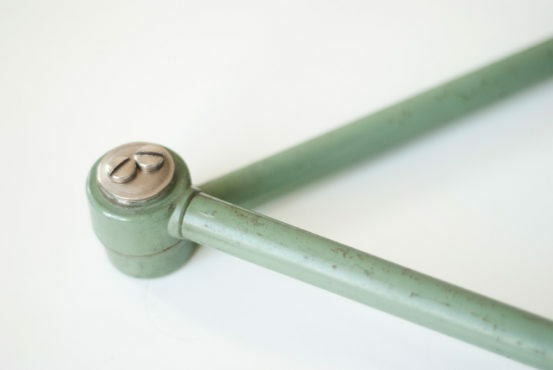 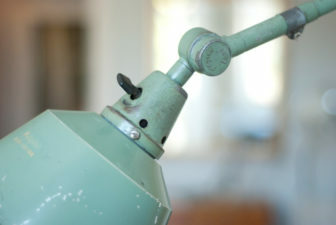 The lamp has light signs of wear consistent with its age and use. 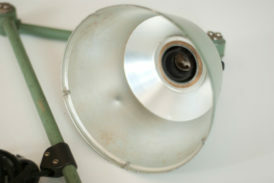 The aluminum shade has a few scratches and a small dent. 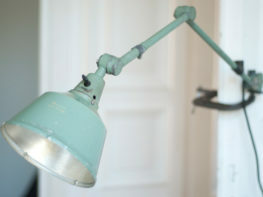 The lamp is marked with Midgard on the shade.